D&D London, formerly named Conran Restaurants, was founded in 1991 and remains one of Europe’s leading high quality restaurant groups, owning and operating restaurants in London, Leeds, Paris, New York and Tokyo. Led by Chairman Sir Terence Conran and CEO Des Gunewardena, D&D/Conran Restaurants was at the forefront of the explosion of eating out in London in the 1990s. The Group opened a string of highly successful restaurants including Le Pont de la Tour (1991), Quaglino’s (1993), Bluebird (1997) and Coq d’Argent (1998). The first overseas venture was Alcazar in Paris (1998) and this was followed by the launch of Guastavino’s in New York (2000) and, more recently, the openings of Custom House in Copenhagen (2006) and two restaurants, Botanica and Iconic, in Tokyo (2007) jointly with D&D’s Japanese partners Hiramatsu Inc. The Group also diversified into hotels and was responsible for the redevelopment of the highly successful 267 bedroom Great Eastern Hotel in the City of London. The Great Eastern, which was 50/50 co-owned with US partners, opened in 2000 and was sold in 2006 to Hyatt Hotels. In 2006, Des Gunewardena (Chairman & CEO), David Loewi (Managing Director) and their management team and financiers acquired a 49% stake in the restaurants. Following this the Group changed its name to D&D London and became an independently managed business. Since the buyout, D&D London has opened 12 new restaurants (Bacino, Ebisu and Custom House Bar & Grill in Copenhagen, which were subsequently sold to a consortium in early 2012; Botanica and Iconic in Tokyo; and Skylon, Launceston Place and the 50% owned The Modern Pantry in London). D&D also acquired Image Restaurants (Avenue, Kensington Place and Launceston Place) in June 2007. 2012 marked a renewed period of expansion for D&D with the opening of South Place Hotel, Angler, New Street Grill, Fish Market, New Street Wine Shop and Old Bengal Bar in the Old Bengal Warehouse. In 2013 D&D opened their first UK restaurants outside of London in Trinity Leeds (Crafthouse and Angelica). In 2014, Avenue relaunched. In 2013, LDC, the leading private equity house, became D&D’s new financial partner. LDC bought out investments previously held by Conran Holdings and private equity investors Caird Capital. Des Gunewardena, David Loewi and the management team retain their existing investments. D&D London today owns and operates 34 restaurants with aggregate revenues of over £100m p.a. 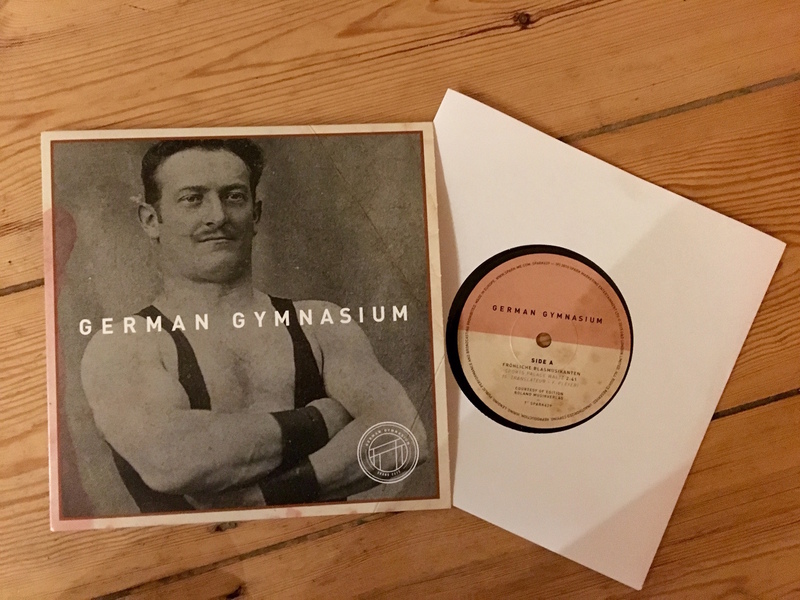 On behalf of Music Concierge Spark produced a 7″ vinyl for the opening of the London based restaurant ‘German Gymnasium‘. The building is located in the fashionable King’s Cross area. Designed by Edward Gruning, the German Gymnasium was the first purpose-built gymnasium in England and was influential in the development of athletics in Britain. It was built in 1864-65 for the German Gymnastics Society. This sporting association established in London in 1861 by Ernst Ravenstein. The building cost £6,000 and was funded soley by the German community in London. The National Olympian Association held the indoor events of the first Olympic Games here in 1866. These games continued annually at the German Gymnasium until the White City games in 1908. The Gymnasium was restored to its former glory and is now home to a contemporary restaurant venue by D&D London, the operator behind Le Pont de la Tour, Coq d’Argent, Bluebird and Skylon. For the opening of the restaurant D&D London were looking for something different. Due to the retro aspect and vinyl revival a 7″ record was produced by Spark. The 7″ features the very fitting German instrumental ‘Sport Palace Waltz’ and Evelyn Kuenneke’s ‘Haben sie schon einmal im Dunkeln gekuesst’ from 1942. Spark cleared the songs and oversaw the mastering, production of test pressings and timely delivery. The vinyl is used as a give-away at the grand opening in November 2015.